Looking to up your eyebrow game? All it takes is a quick scroll on Instagram to realize that attaining "eyebrows on fleek" is a lot harder than it looks. There are brow pencils to line just perfectly, highlighter to add a touch of shimmer on the brow line, and, of course, regular appointments to maintain that perfect shape. 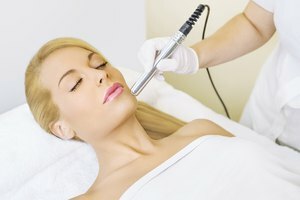 One alternative form of hair removal that has been on the rise is threading. "Threading is able to remove even very fine hair strands. Threading is highly recommended for those who prefer a natural look," says Browhaus Brow Architect Michelle Wu. It involves twisting cotton thread together to pluck out hairs from the root. It's suitable for most people, but like all treatments, it has its advantages and disadvantages. For allergy sufferers, threading has advantages over other forms of hair removal. With threading, skin does not come into contact with any chemical or cosmetic products, and because thread for cosmetic use should be 100 percent cotton, there are very few allergens present. Threading can be easier on the skin than waxing, especially if you need to remove hair frequently. Dark or fine hair may need a couple wax applications to get a clean finish and, on a long-term basis, this can drag and stretch the skin. However, the action of plucking the hairs from the follicles can rupture acne, damaging the skin and spreading infection, so it may be an unsuitable treatment for acne sufferers. Threading is considered a very fast and tidy method of hair removal, so it's perfect for those with lots of hair (especially the very fine kind that slips through wax). Threading catches every hair, no matter how fine, and offers speedy removal. Plucking hair out from the roots is also less likely to break it, which results with slower regrowth. Finding a good threader is key to attaining those perfect brows. There are many different styles of eyebrow shaping, from a high arch to something more natural, and you should discuss this before getting the treatment done with a new practitioner. Mainstream salons offering threading and chain brow bar brands are easy to find in big cities, but it might be harder to find a good threader in more rural areas. Never get your threading done anywhere that does not uphold the strictest hygiene standard to avoid folliculitis, an infection of the follicles, and bacterial skin infections. Whether it's tingling from bleach, the shock of waxing, or the sting of threading, all hair removal processes can hurt. Most people get used to threading and find the discomfort is only slight, while some claim to have no pain at all. 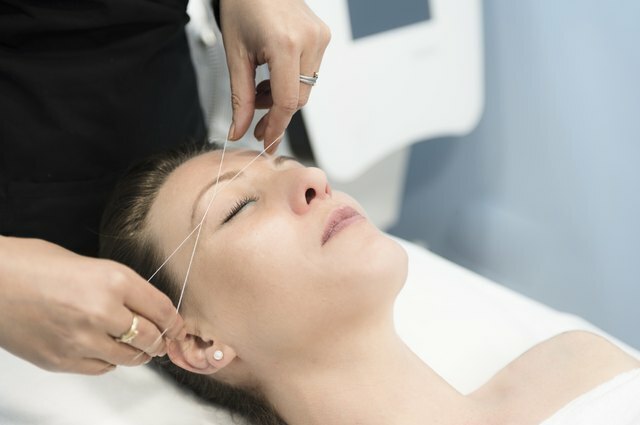 A few people claim the initial discomfort associated with threading, which can be a prickly feeling, is enough to discourage them from the treatment. In which case, another hair removal method is better. Threading brows can take anywhere from 10 to 20 minutes and, unlike waxing, where hair is ripped out in short bursts, the tingle from threading lasts throughout the treatment. Eyebrow Threading vs. Tweezing: Which Is Better?